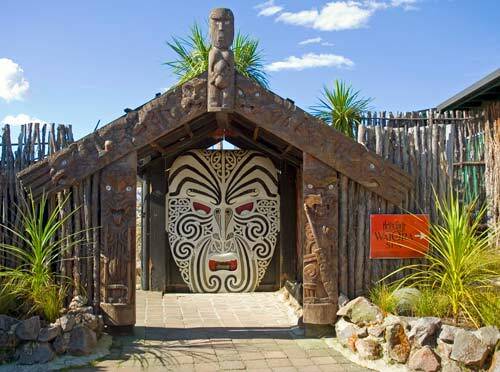 This waharoa (carved gateway) at Tikitere (Hell's Gate) near Rotorua represents Rangiteaorere. He was the eponymous ancestor of Ngāti Rangiteaorere, one of the iwi of the Te Arawa confederation. Rangiteaorere is one of a number of ancestors who grew up without their fathers and later went to find them.